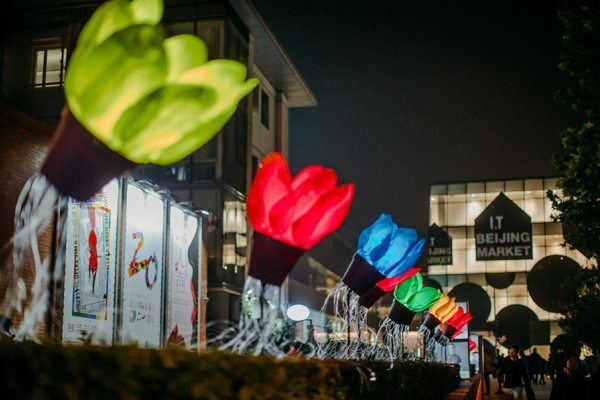 The fourth light festival has been launched by Taikoo Li Sanlitun recently. 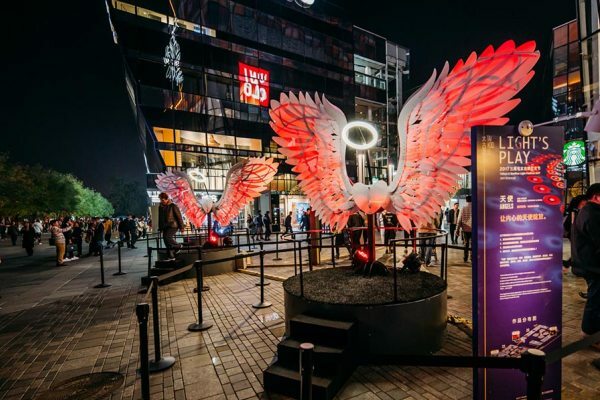 Using their award-winning art works, light artists and teams from the US, Germany, Greece, Israel and other countries have turned the night in Beijing’s Sanlitun area, the iconic nightlife center, into a fascinating luminous world. This light festival is entitled as “Light’s Play”, featuring its theme “Let’s Cheer and Share Happiness” which aims to present an interactive visual feast for visitors and shoppers. There are 4 main out-door interactive lighting installations: The Pool, Angels, The Uprooted and Flower Power #2. These works are all created by world-class light artists. Sanlitun is also one of the sponsors of the 2017 Beijing International Music Festival, which runs until Oct 28. You could also watch some opera in the Red exhibition venue.